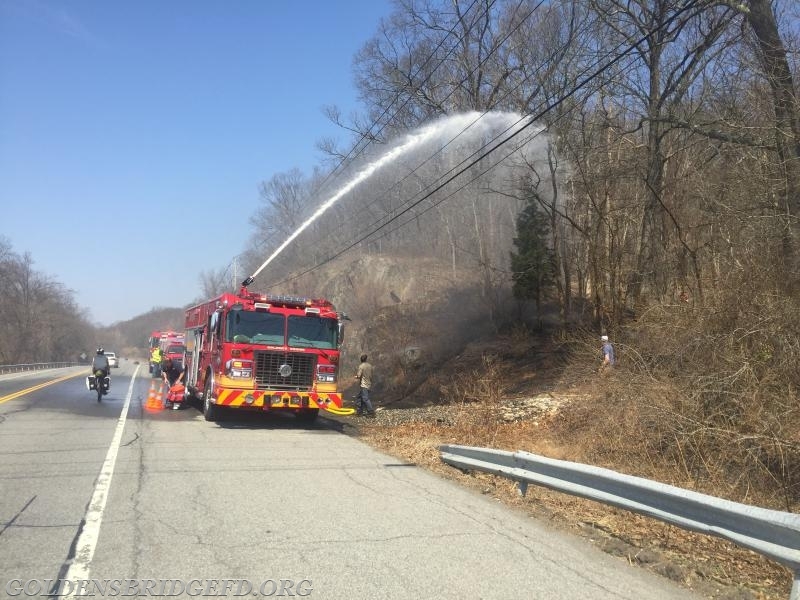 Just before 2 o'clock on Saturday afternoon, Golden's Bridge FD was dispatched to Route 22, in the area of the I684 6A exit ramp, for a Brush Fire. 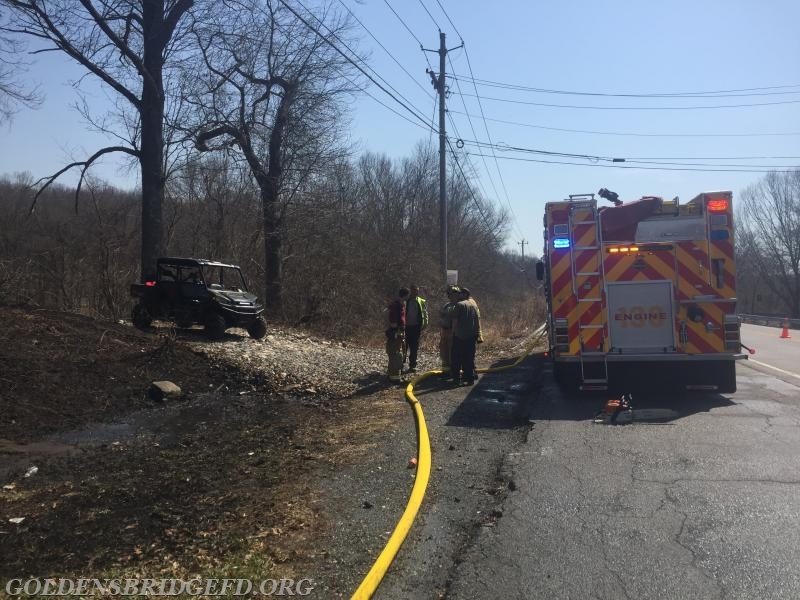 Within minutes Car 2141, Car 2142, Engine 139 and Tanker 1 were responding. Car 2141 arrived on scene and reported he had a active fire. He requested that Engine 139 and Tanker 1 were to be the first due apparatus. 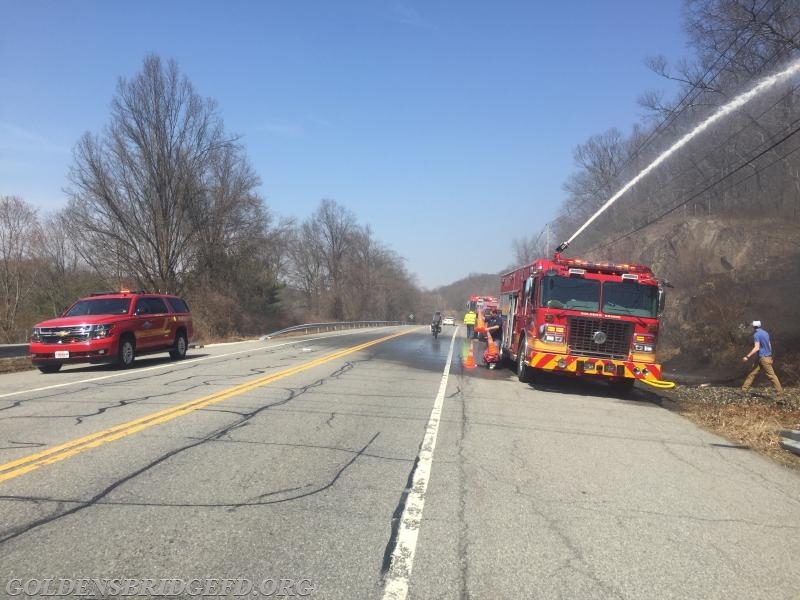 Upon arrival, Engine 139 and Tanker 1 went right to work. 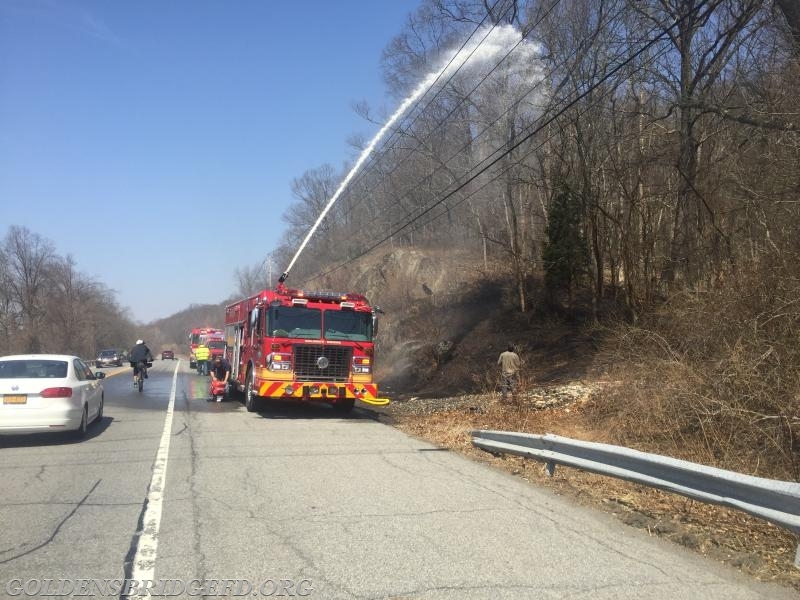 Car 2141 then requested Engine 138 for deck gun operations and Utility 38 to better access the fire. 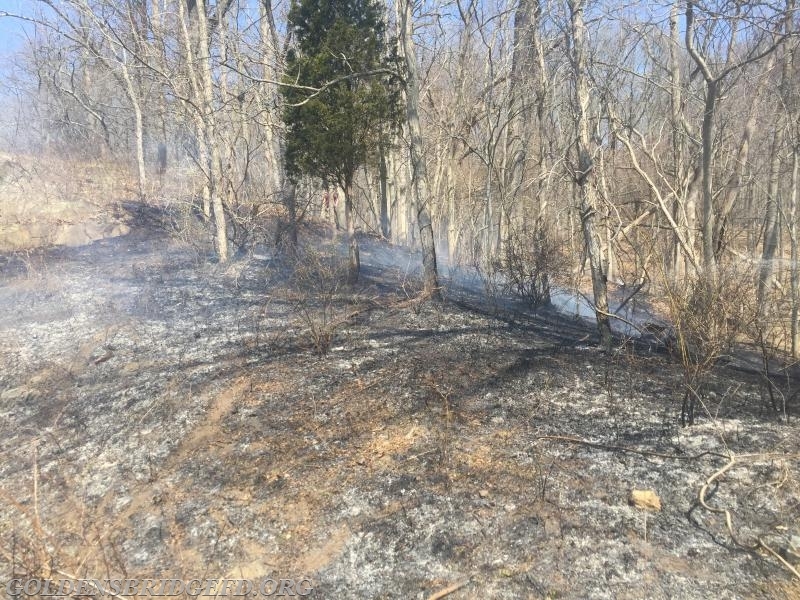 The fire was about 100’ x 150’ in size. Units operated on scene for over a hour. Car 2141 & Engine 138 while operating. Engine 138's Deck Gun being operated by Lieutenant Turi. 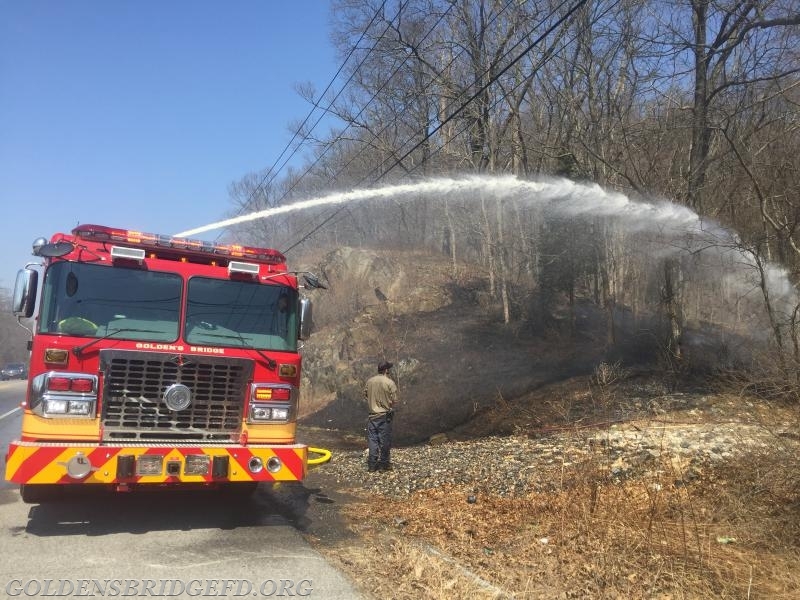 Utility 38 and Engine 138 operating while members are regrouping during operations. Engine 138 and Engine 139 being feed by Tanker 1. Another shot of Engine 138 in operation. A view of the fire area. 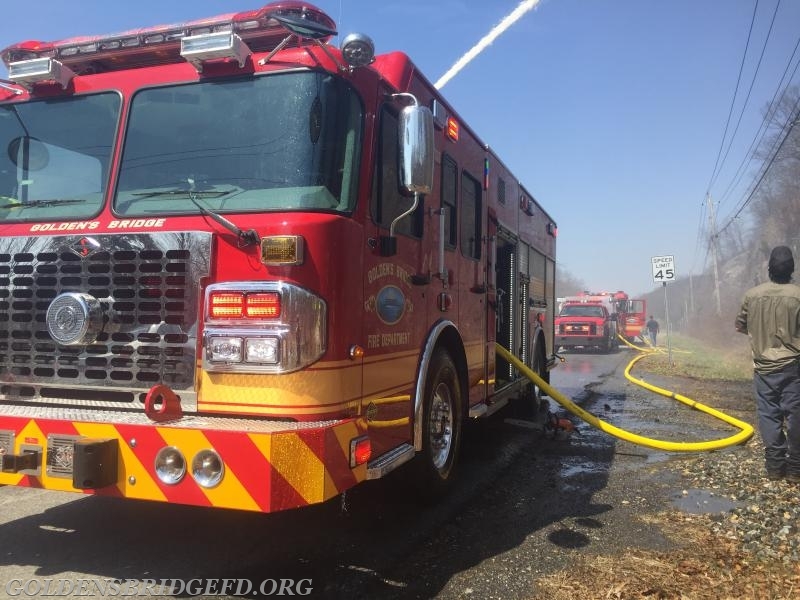 Another shot of Engine 138 while the deck gun is in operation. 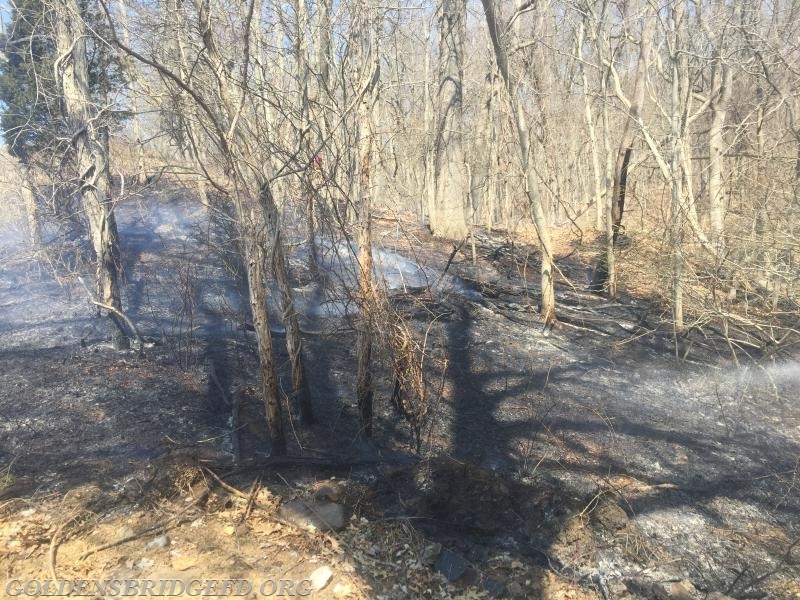 Another view of the fire area.